The Republican Party of Wisconsin has launched a campaign to draw attention to the record of Democratic congressional candidate Dan Kohl during his time at a controversial far-left Middle East advocacy organization. Kohl, who is challenging Rep. Glenn Grothman (R), cofounded the J Street PAC, a Washington D.C-based organization that self-identifies as "pro-Israel" and "pro peace" but is often labeled by critics as being "anti-Israel." During Kohl's time with the group, J Street was an ardent supporter of President Barack Obama's foreign policy and pushed for the Iran Deal, which the Israeli government called a "historic mistake." J Street backed the campaign with a multi-million dollar public relations blitz. Kohl's involvement with J Street will now take center stage in Wisconsin's sixth district as part of the "Stop J Street" campaign, which will include a joint fundraising committee between the Wisconsin GOP and Grothman. "Radical pro-Iran deal J Street activists are using D.C. millions to win back Congress by running against pro-Israel conservatives in strategic seats across the country," the group's website reads. "Stop J Street is a group committed to fighting this takeover and keeping America from ever going back to Obama's dangerous anti-Israel policies." Alec Zimmerman, the communications director of the Wisconsin GOP, says that Kohl spent years putting "dangerous Obama-era policies" ahead of national security. 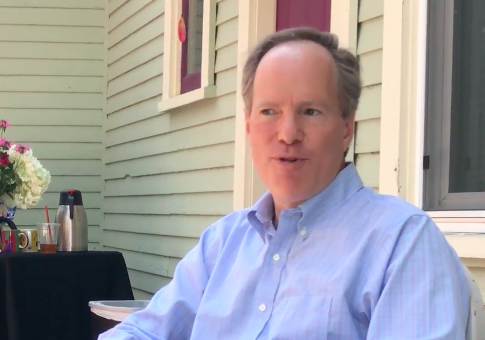 "J-Street co-founder and former lobbyist Dan Kohl has moved to Wisconsin with the goal of buying a Congressional seat to push his radical foreign policy agenda," Zimmerman told the Washington Free Beacon. "Kohl and J-Street spent years putting dangerous Obama-era foreign policy goals—like the Iran Deal that sent piles of cash to a terrorist backing anti-American regime—ahead of our national security and the safety of Wisconsin families." Kohl, who has lived in D.C. for years, has not voted in Wisconsin since April 2009, the Wisconsin GOP found. Kohl's voter registration was labeled as "inactive" at the time the records were accessed. Kohl's campaign did not provide a comment on the GOP campaign. J Street faced heavy criticism in the past for extending conference invitations to individuals who had espoused anti-Israel sentiments. In 2009, the group was forced to cancel a scheduled conference session after it was discovered that one of the slated participants had compared Guantanamo Bay to Auschwitz. Another participant for the same session had likened Israel to a "whore." Michael Oren, then the Israeli ambassador to the United States, refused to speak at the conference. An Israeli embassy spokesperson added that J Street could "impair Israel's interests." Thirteen senators and congressman ultimately removed their names from the host committee. This entry was posted in Politics and tagged Israel, Wisconsin. Bookmark the permalink.